The Giving Store / Better Together / Let’s Go Ride A Bike! Do you remember your first bike? Join forces with PACT and Franklinton Cycle Works to give the gift of a bicycle to 50 children on the Near East Side. With a mission to support recreation opportunities for youth, Columbus Youth Foundation has matched the first $1,500 raised through this Better Together campaign! 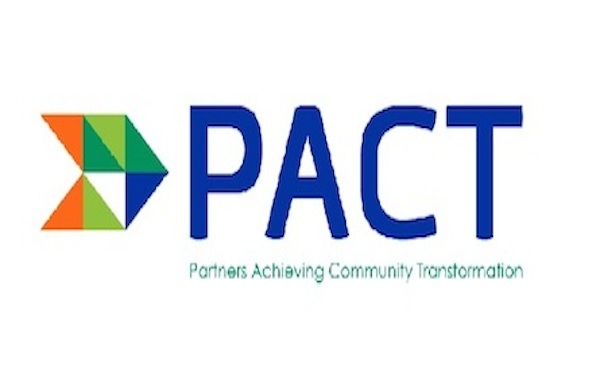 PACT (Partners Achieving Community Transformation) supports the health and success of the Near East Side community through collaboration and partnership. With a nod to some of the most important residents in this 800-acre area of Columbus, PACT is partnering with Franklinton Cycle Works to distribute 50 bicycles to children ages 5-12. Families participating in this bike bonanza will pay $10 for a Trek bicycle. Each bike will be professionally refurbished by the team at Franklinton Cycle Works, and each child will receive safe bike-riding instructions, a helmet, lock, and light. Children will receive their bikes and gear at one of two fun-filled Bicycle Rodeos planned for December 15 and next spring. "Friends of PACT, supporters and advocates of children and families living on the Near East Side; Thank you! Your generosity has enabled us to achieve our goal of distributing bikes to 50 Near East Side children; 25 during an event in December 2018 and another 25 in the spring of 2019! Thank you for your ongoing support of our efforts to transform Columbus’ Near East Side." Better Together projects unite the community to support real-time needs, together. Whether this campaign falls short or exceeds its goal, all gifts will support bicycles for children living on the Near East Side.